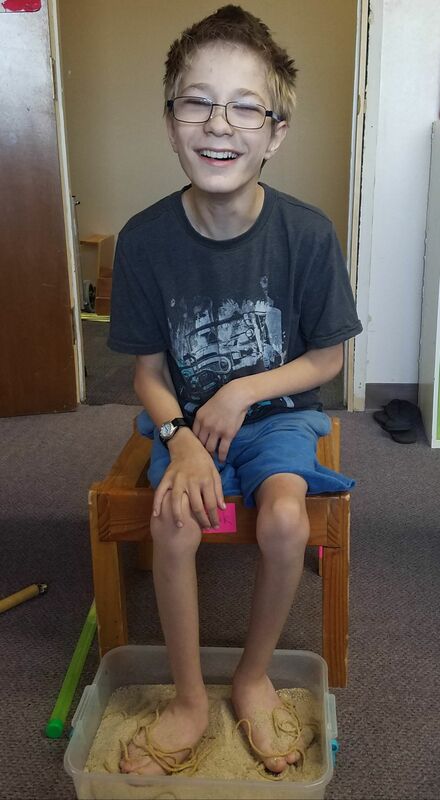 CFCE summer camps provide intensive Conductive Education therapy (covering therapeutic areas similar to traditional PT, OT, and SLT) for children with motor disabilities in a fun, motivating group environment. Our camps run from 9am-3pm, M-F. Each day at camp, the children work on gross motor and fine motor skills, increase their flexibility and strength, practice life skills such as dressing, transferring, and eating, and enjoy taking an active part in social activities with their peers in a structured learning environment tailored to their individual goals. Want to learn more about the method of Conductive Education? Fill out the form below to receive more information about our camps! "Nine years of Conductive Education has offered Charlotte the opportunity to work on important skills like eating, dressing and walking independently, all while making lifelong friends and having fun!" 9:15-10am- Floor Program: a series of tasks that teach movement strategies and motor planning, increase body awareness and coordination, improve core and limb strength, and encourage problem solving. 11am-11:30- Sitting Program: a series of tasks that teach movement strategies, motor planning, skills for walking, and improve stability and posture. It is often a time where ADLs, such as dressing, are practiced. Games and activities, such as bowling and Simon Says, are used during the program to motivate the children and push them to try new things. 11:30-12:45- Standing and Mobility Programs: the standing program involves tasks aimed to increase strength and endurance, improve ability to weight bear, improve balance, increase awareness of body and posture, develop movement strategies, and develop skills for walking and transfers. 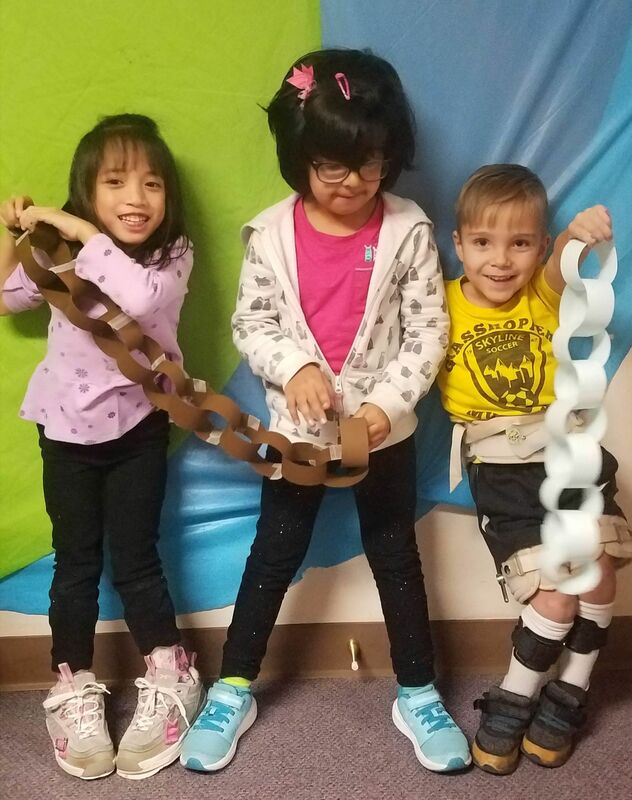 The mobility program is catered to the level of each child and includes various forms of mobility, such as rolling, crawling, walking with aids, and free-walking. For children who walk with aids or free-walk, the Mobility Program often involves obstacle courses that increase their confidence and safety on uneven surfaces, steps, and ramps. 1:45-2:15- Fine Manipulation Program: usually starts with a hand warm up that involves practicing squeezing, opening/closing hands, turning wrists, and finger differentiation. After warming up the kids might have a craft, do some baking, or work on individual fine manipulation goals. 2:30-3- Speech and Communication Program -The Speech Program is designed to improve breathing, oral motor control, articulation, chewing, communication skills, and the use of AAC devices. 3pm- Walking out: this is the last opportunity of the day for the kids to practice walking and during this time all do so in their own way. We walk out of the classroom each day to ensure that every part of the day, from start to finish, is an opportunity for the children to be active and learning. Walking in and out of the classroom sets the expectation that while in the classroom, we will be moving and learning! Click here for a more detailed description of our camp days. What is Conductive Education? Is CE Right for My Child?